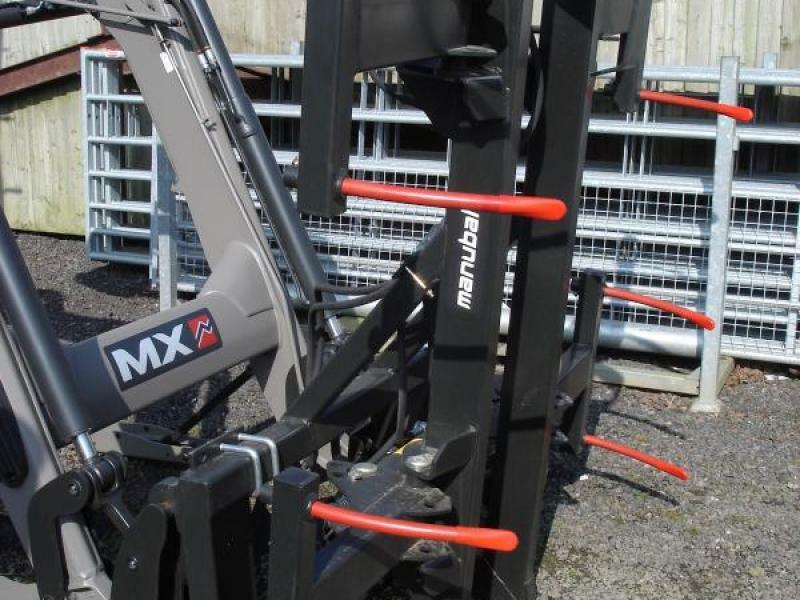 MX Chillton BALE GRAB - MANUBAL V7000. 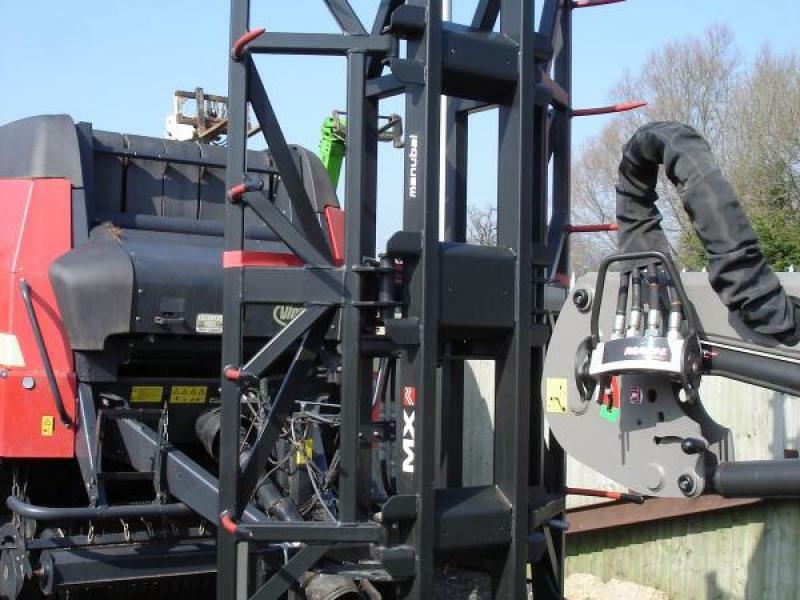 EXCELLENT PERFORMANCE: Its very large grab enables 3 round bales or 4 rectangular bales to be picked up simultaneously. Its frontal pick-up (rather than underslung), ensures bales are not damaged and enables them to be stacked up to the ridge of the roof. This is an essential tool for major jobs involving straw or hay. ADVANTAGES: Synchronised opening grab as standard. 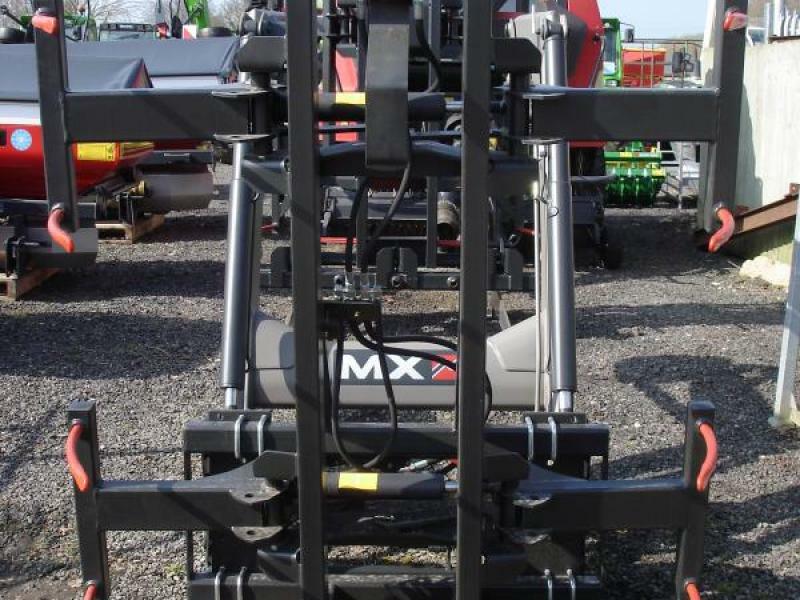 Double linkage for picking up round and rectangular bales. Very large grab with 14 tines, height of 2.55m. 3 lower tines D40 x 1000 mm (working length) articulated as standard. Pusher on the upper section of the MANUBAL unit, to push the bales. Please give us a call for more information.